The administration has let state support for education slide as tax cuts have taken effect. As we enter an election year, we should expect to hear a lot about education, and a lot of assertions that deserve a very close look. A key piece of Gov. Paul LePage’s re-election effort is his claim that he has managed to increase spending on education while pushing through the biggest tax cut in state history. It would be a neat trick if it were true, but it’s not and the governor’s real education strategy has been somewhat less miraculous. The Baldacci budget looked smaller than it really was because of the influx over two years of $237 million of temporary federal stimulus funds that expired in June 2011. 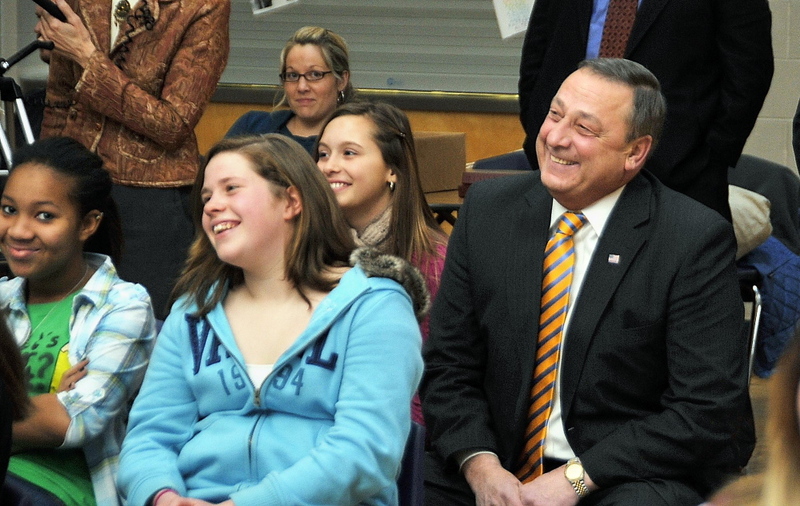 They were intended to stabilize school budgets when state revenues collapsed during the recession, so LePage’s additional $80 million sounds like a lot, but was nowhere near enough to cushion the blow. The second fact left out of LePage campaign literature is that the cost of education has not stood still during his years in office. As state aid to schools stagnated at artificially low levels, it was up to communities to raise taxes and cut services, in effect subsidizing an income tax cut with cuts that hurt middle class and poor families. Another way to express this trend is by looking at how close the state has come to funding education at the 55 percent required by law. According to a study commissioned by the Legislature, the state share hovered between 50 percent and 53 percent from 2006 to the 2008-2009 school year. It has declined steadily ever since, dropping to 42 percent last year. LePage supporters argue that local school districts should do their part to control spending, but according to a study by Thomas College professor Emily Shaw in the Maine Policy Review, school districts had to spend more as state support declined. Capital costs, contractually required salaries and benefits and the need to maintain quality schools did not give the districts as much flexibility as the state had when it came to deciding how much to pay for education. The districts had nowhere to go but the local property taxpayers and that’s who has made up the difference with higher tax rates and cuts to other municipal services. The governor has made education reform a rhetorical focus of his administration, but he has not always been willing to put resources behind his words. Money isn’t the only way to improve schools, but it is wrong to imply that it doesn’t matter at all. LePage sometimes argues that the state spends too much on education, and that, as currently constituted, public schools are not a good use of public resources. But he can’t have it both ways. Wishing that education was less expensive is not the same thing as funding it adequately. The governor can tout his tax cuts, declaring them to be good policy, but he should not say that he has increased the state’s commitment to providing a quality education for all students regardless of their economic capacity. His record shows that he has not.